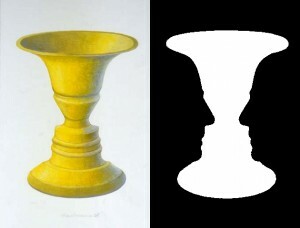 Rubin’s vase (sometimes known as the Rubin face or the Figure-ground vase) is a famous set of cognitive optical illusions developed around 1915 by the Danish psychologist Edgar Rubin. They were first introduced at large in Rubin’s two-volume work, the Danish-language Synsoplevede Figurer (“Visual Figures”), which was very well-received; Rubin included a number of examples, like a Maltese cross figure in black and white, but the one that became the most famous was his vase example, perhaps because the Maltese cross one could also be easily interpreted as a black and white beachball. 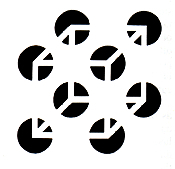 I think this imagery does a better job of illustrating the figure-ground distinctions of CRM and VRM. 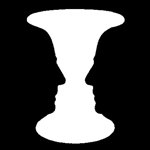 I suggest that CRM sees the wine glass (from which they might drink from the wealth of well-managed relationships with customers), while VRM sees two faces that represent one-to-one interactions between equals. After CRM and VRM come to be working well together, vendors and customers will still have their own tilted perspectives — one’s figure will be the other’s ground — but both will be fully present. As of today that’s not the case. 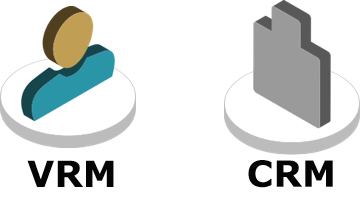 CRM is a multi-$billion industry, while VRM is just getting started. 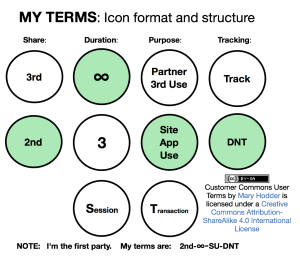 Perhaps, by thinking about CRM from a VRM perspective (and vice versa), we can build out tools and solutions better, and faster.